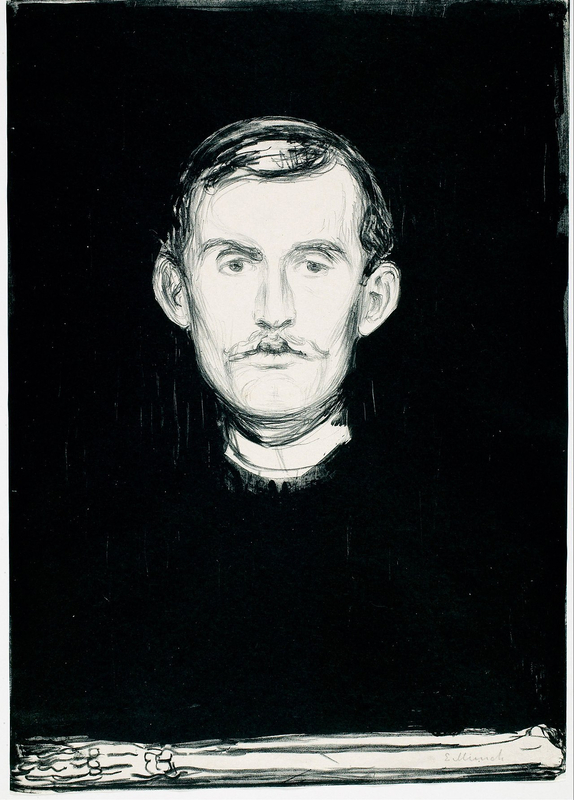 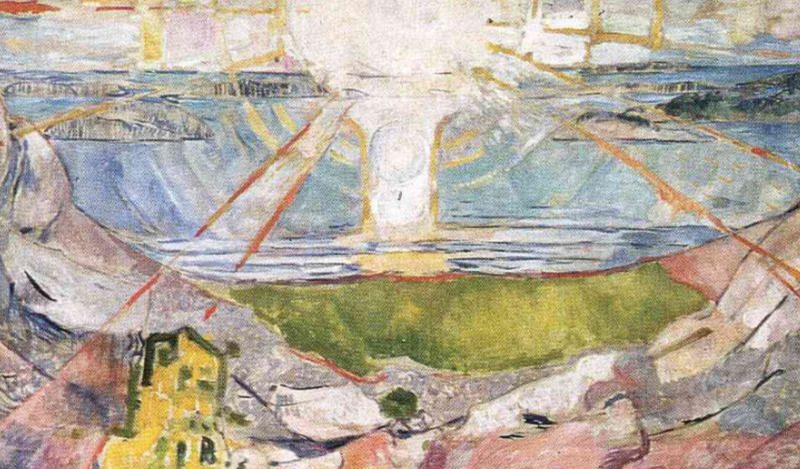 According to this List of paintings by Edvard Munch, I count ten different paintings titled ‘The Sun’ produced between 1910 and 1916. 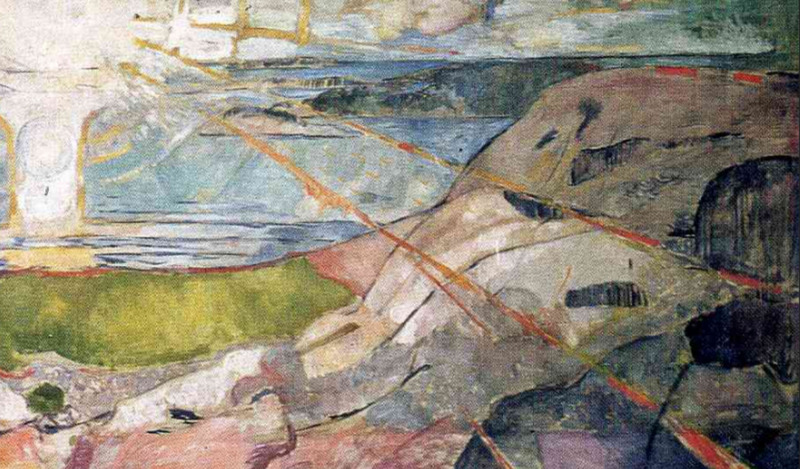 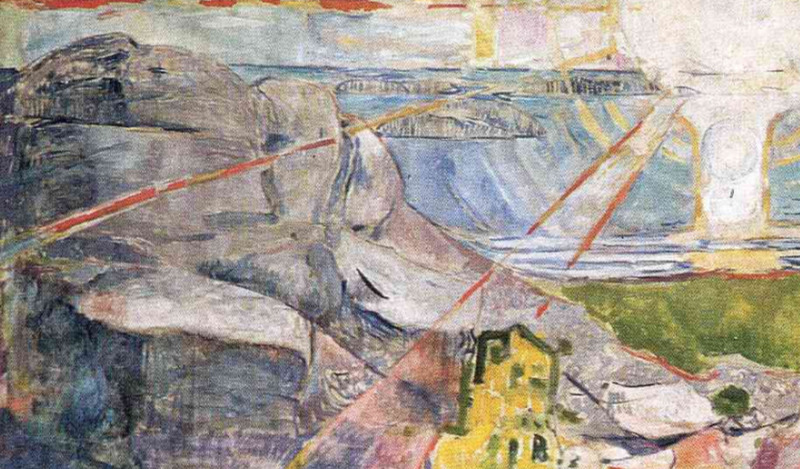 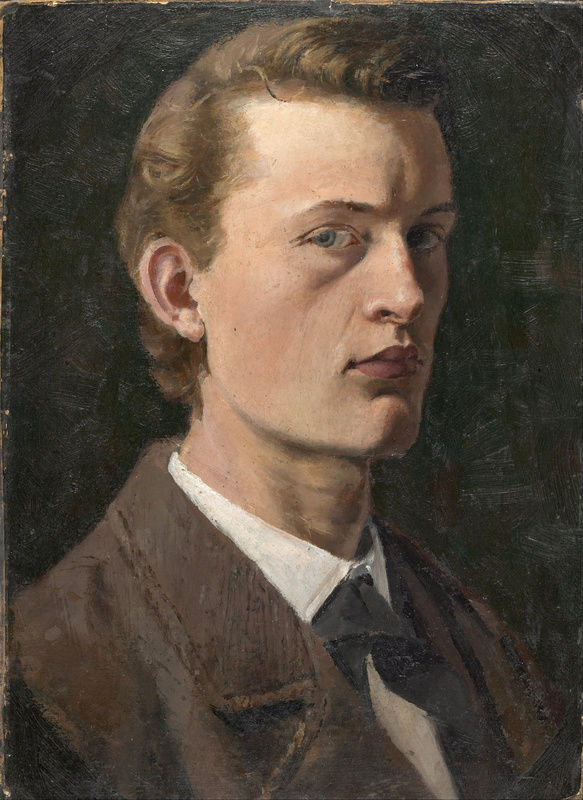 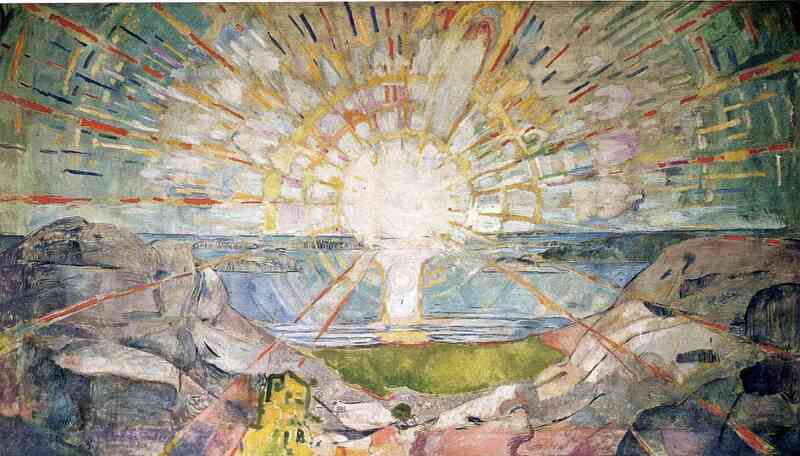 In this post I will focus primarily on The Sun, 1910-1911, painted for the Oslo University Mural. This story is effectively told in two videos. 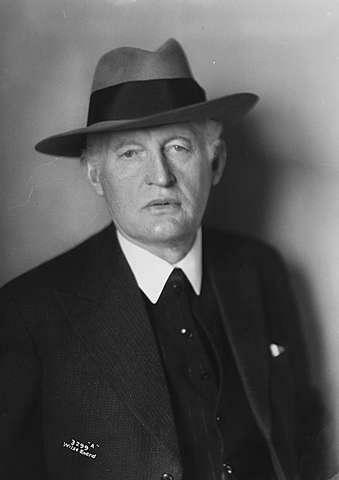 No wonder Strauss had such a reaction! 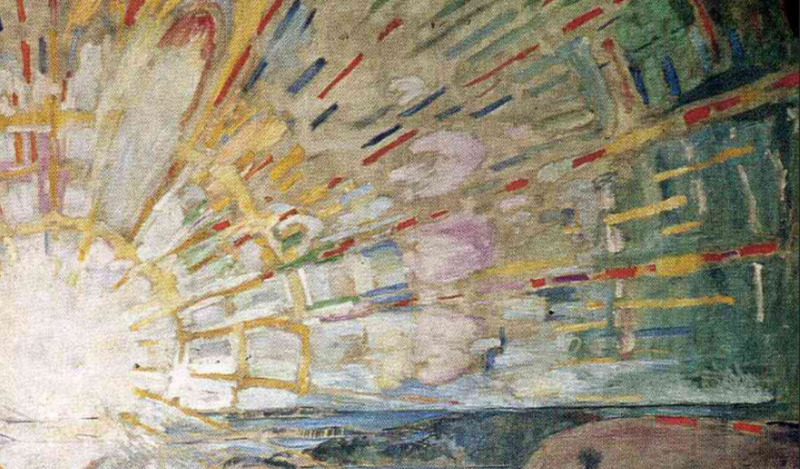 Go to Klimt’s Kiss and Haydn’s Cello Concerto to see “The Sun” and the Norwegian Chamber Orchestra in live performance on this stage. 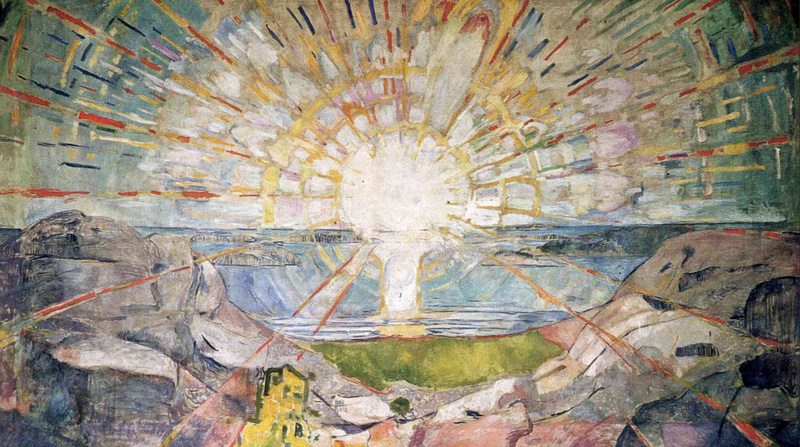 Stay tuned for Part 2 about four different versions of Munch’s Suns. 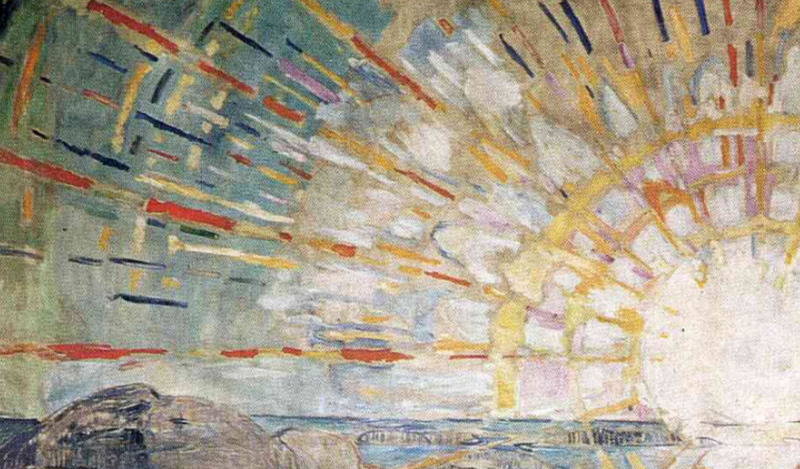 He has succeeded in capturing not only the glory of our Sun, but also its pervasive, pulsating energy that gives life to our planet–over land and sea. 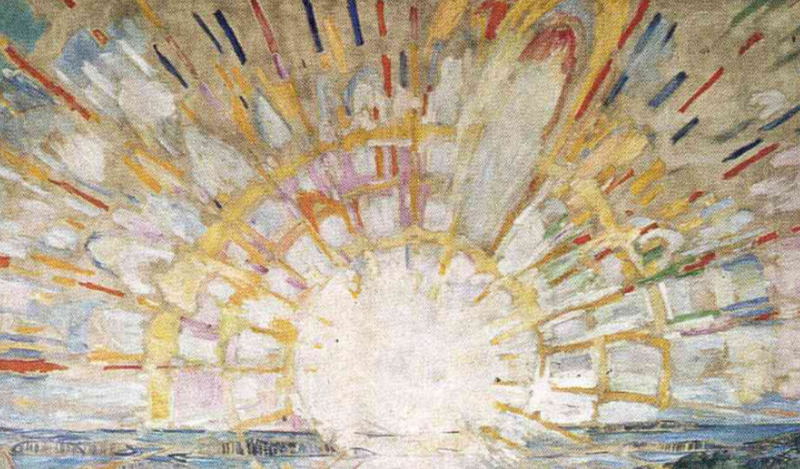 What a fitting reminder, as we start a new year here in the USA with a government shutdown over building a wall for national security, that we-humans are nothing without the life-giving force of our Sun.